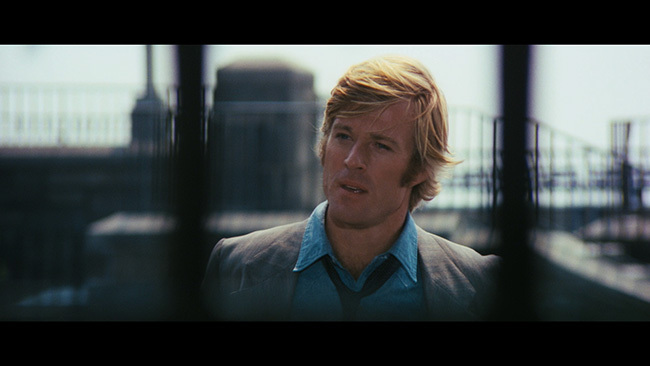 John Dortmunder (Robert Redford) is a multi-time loser, getting out of jail for the umpteenth time, and almost certain to return again. "My heart wouldn't be in it" is his response to the Warden when asked if he plans on going straight this time around, and he's being truthful; within moments of walking through the front gate to freedom, Dortmunder is already wrapped up in a plan to run afoul of the law. 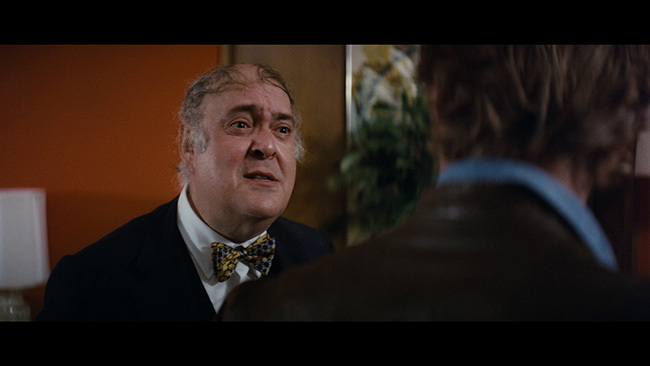 Of course, Dortmunder isn't entirely to blame; this caper is the idea of his brother-in-law, Kelp (George Segal), who has made an odd foreign connection. When Dortmunder and Kelp meet UN diplomat Dr. Amusa (Moses Gunn), the plan is laid out, and it seems simple enough. Amusa has eyes on the precious Sahara Stone diamond, which he and other African regional representatives have been routinely stealing from each other, determined that the Sahara Stone rightfully belongs to their respective areas. 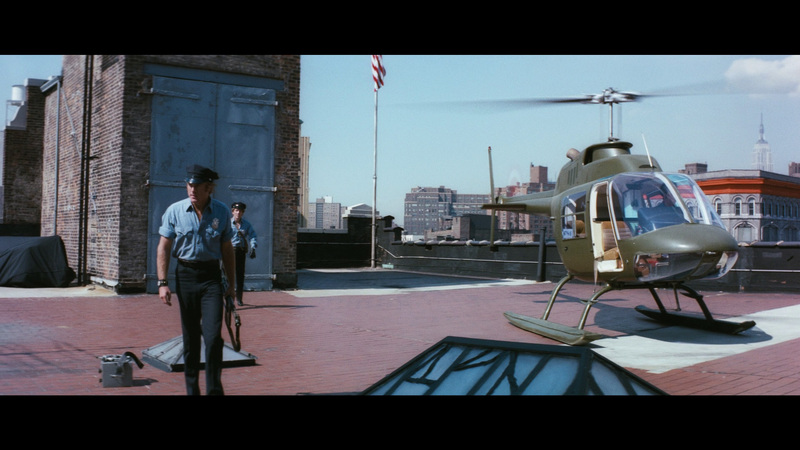 The problem that currently exists for Amusa is that the Sahara Stone is housed in the Brooklyn Museum, under lock, key, bulletproof glass, and night watchmen. A deal is struck; Dortmunder and Kelp will head up the team that will steal the diamond from the museum, and return it to the good Doctor, for the princely sum of 25,000 US dollars apiece. 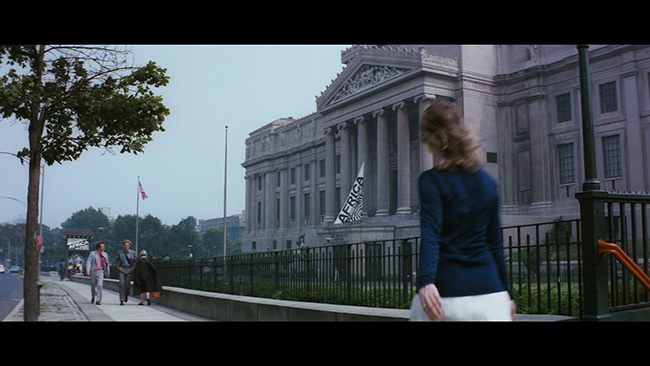 Enlisting the help of Stanley Murch (Ron Leibman), a hot-rodder who grooves on playing soundtrack records from famous race tracks, and bomb-maker Greenberg (Paul Sand), the quartet piece together an insanely elaborate plan to relieve the museum of it's multi-karat treasure. Muggers, stunt cars, and explosions make for a fine distraction, and Greenberg finds himself in possession of the diamond, but things go south and he's pinched; after swallowing the giant stone. When Greenberg's father/lawyer introduces himself to the gang, he brings a message from Greenberg; get him out of prison, or he'll give up the location of the gem for leniency in sentencing. 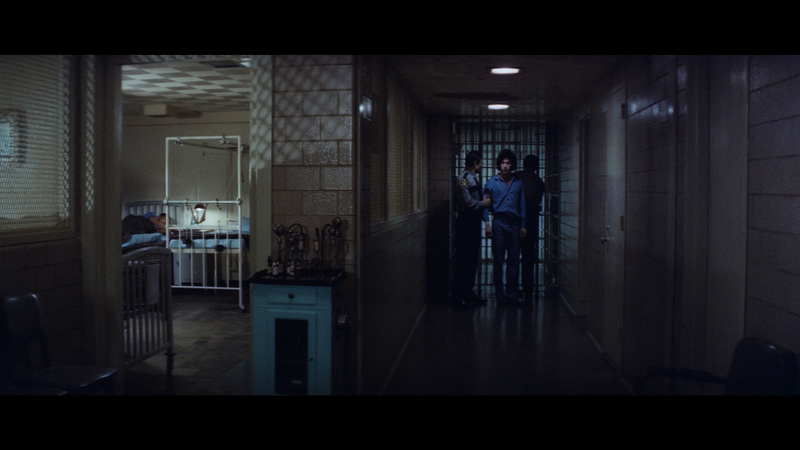 Not one to give up easily with a big payday on the horizon, Dortmunder, Kelp, and Murch execute a stunning midnight jailbreak, only to find out that Greenberg dumped the stone in the police station before being carted off to jail; which prompts another insane plan to assault the local precinct to retrieve the treasure. A series of further mishaps threaten the gang's livelihood, motivating them to pull off more and more complicated responses in an effort to remain on Amusa's payroll. 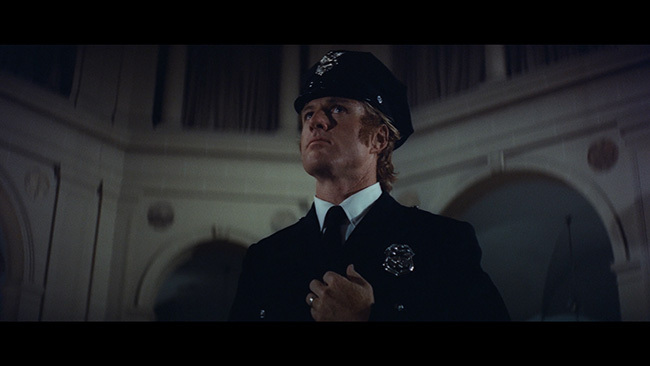 In plenty deep at this point, Dortmunder must choreograph a final, daring scheme, the failure of which will certainly mean a return to prison for the career criminal. Good, clean fun is a fine way to describe The Hot Rock, and it's a film that closes out its running time leaving the viewer feeling well entertained. 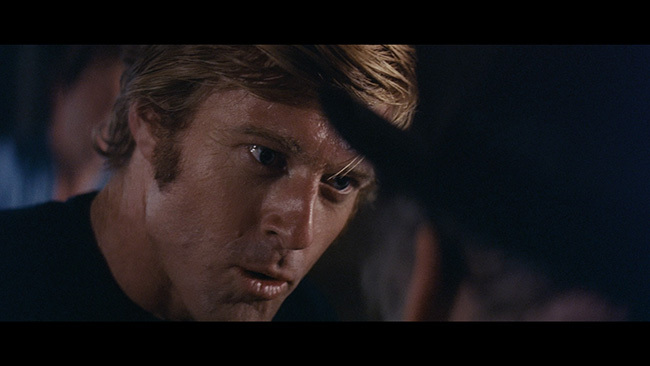 Redford nails the character of Dortmunder, popularized in Donald E. Westlake's books, demonstrating the acting ability that made him a star as The Sundance Kid, and would follow him through the rest of a renowned career. Supporting cast Segal, Leibman, Sand, and Gunn turn in equally impressive performances, with my vote going to Leibman as Murch, strictly for comic value. 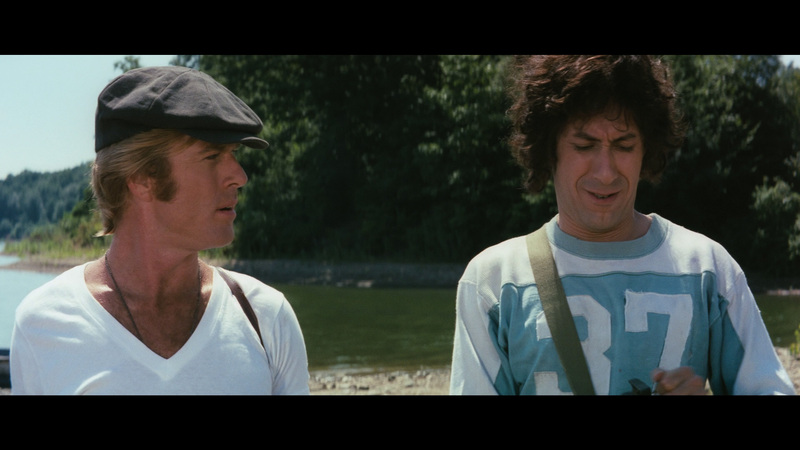 And speaking of comic value, there's a very fine balance here, of comedic entertainment (though nowhere near slapstick) and the respectful treatment of serious material, that puts The Hot Rock in a class of it's own. 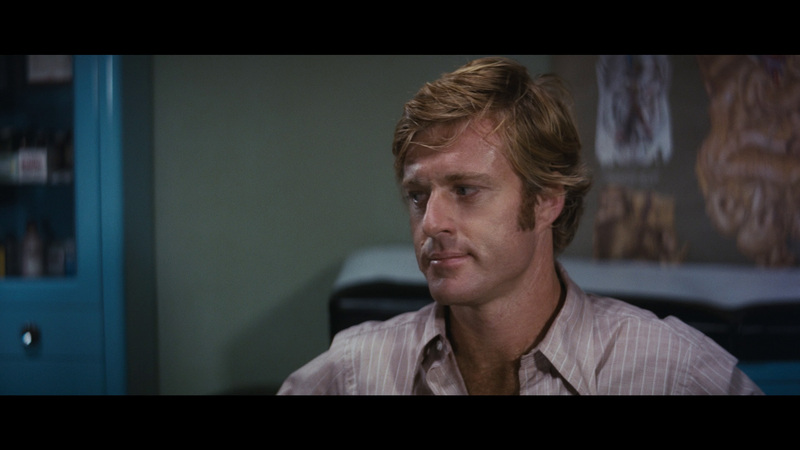 Peter Yates, responsible for the Direction of Bullitt, and later, The Friends of Eddie Coyle, is certainly no slouch when it comes to keeping a picture moving along, and The Hot Rock almost suffers from appearing too short, in spite of it's 100-minute running time. Pacing is beautiful, and the action-filled scenes handled wonderfully; and with the accompanying jazzy score by none other than Quincy Jones, Yates also pulls off some impressive sequences full of suspense. 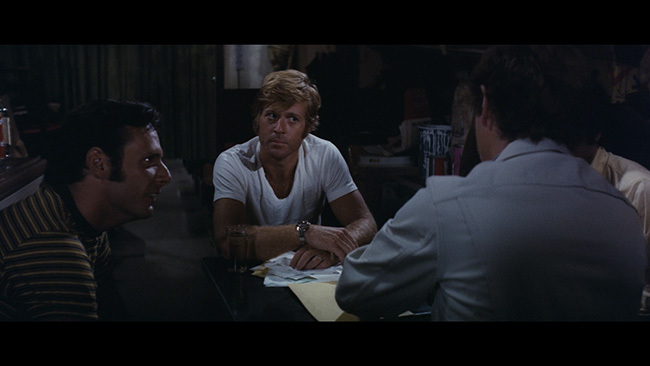 Twist upon twist, caper upon caper, The Hot Rock's screenplay (written by veteran William Goldman) is full of awesome and well worth the time invested. 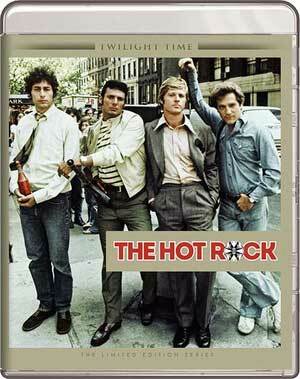 Twilight Time brings The Hot Rock to Blu-ray in an AVC-encoded 2.35:1 transfer that looks very good for the most part. 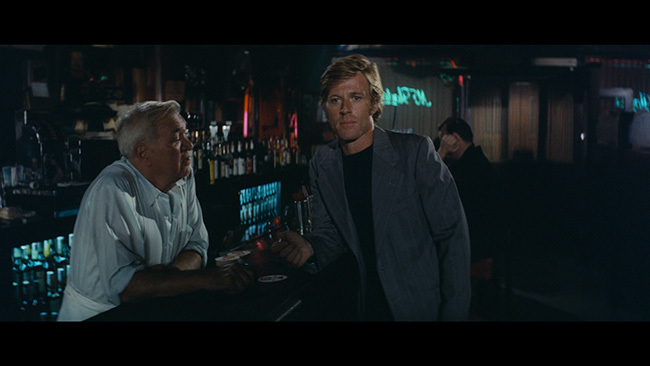 True, there are some scenes that come across as a little soft, but for a film creeping up on a half century old, I'll allow it. Detail is good here, especially in night scenes, with no compression artifacts or dirt to be found. Audio is available via DTS-HD MA 2.0 and DTS-HD MA 1.0 (both English), and while there were no stellar differences between the two, the stereo track was the one I opted for. 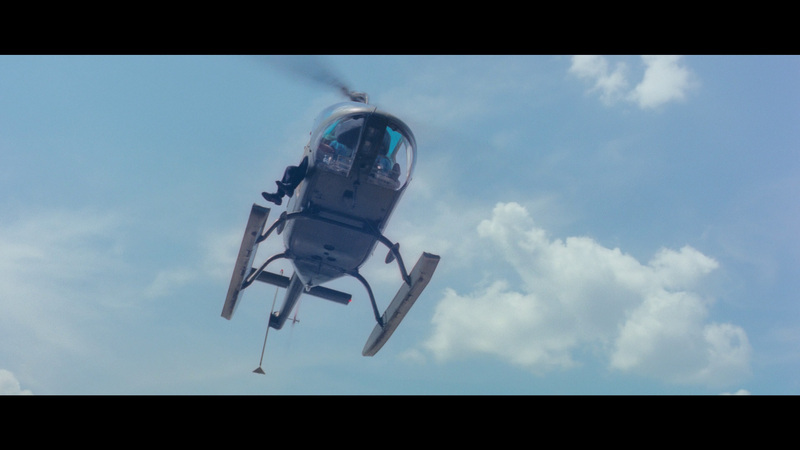 This stereo track is plenty fine for the film, carrying dialogue well with the score punching through when required, but also offers good balance when action scenes kick in. 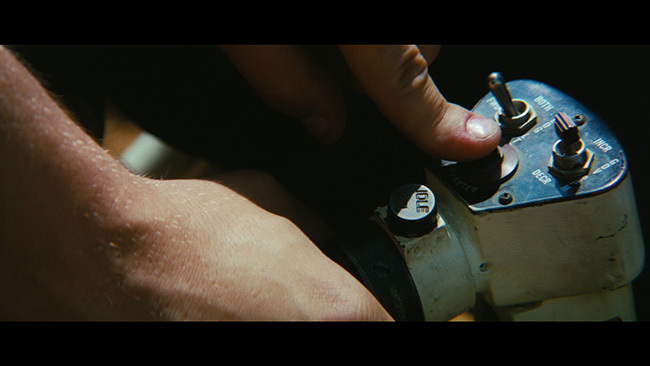 No distortion or hiss was present, and English subtitles are also available. 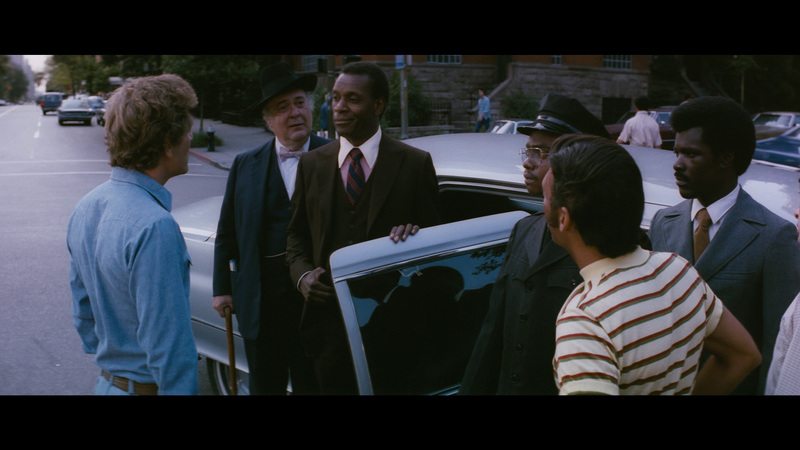 Twilight Time has carried on the Isolated Music Track tradition, allowing the viewer to enjoy Quincy Jones' score on it's own. A feature-length commentary is a must-listen for fans of the film, featuring Twilight Time's Julie Kirgo and Nick Redman, as well as Lem Dobbs, screenwriter of Kafka and The Limey, among others. I've said it about other commentaries in the past, but this is definitely how commentaries should be done. There's next to no dead space to be found here as the three offer their thoughts on the Caper genre, Westlake's novels, Redford's take on the character of Dortmunder, the use of comedy in a crime film, and many other topics. It's a pleasure to listen to, and I wish more commentaries were this well done. A Trailer for the film, liner note essay by Julie Kirgo, and the Twilight Time Interactive Catalog are also available. A downright pleasing and entertaining ride, my only complaint would be that the film seems to end far too soon. Twilight Time's A/V quality is great, and the commentary itself makes this a worthy purchase. 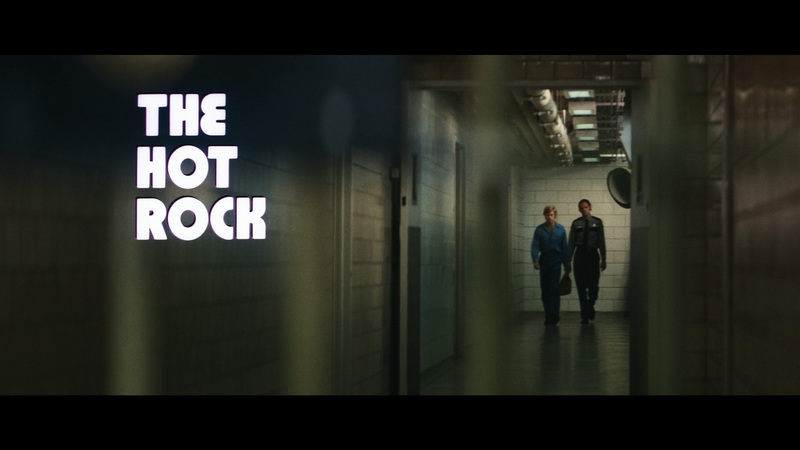 Click on the images below for full sized The Hot Rock Blu-ray screen caps!